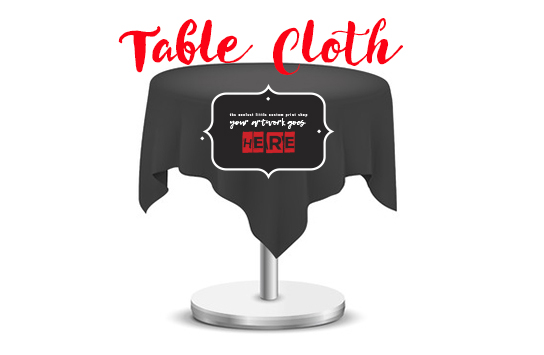 Turn the tables and be the enviable one with a clean and sleek customized tablecloth for your next dining event. Make the best first impression and create something extra special! Size 58x58", 58x102", 70x90", 90x138", 90x160"